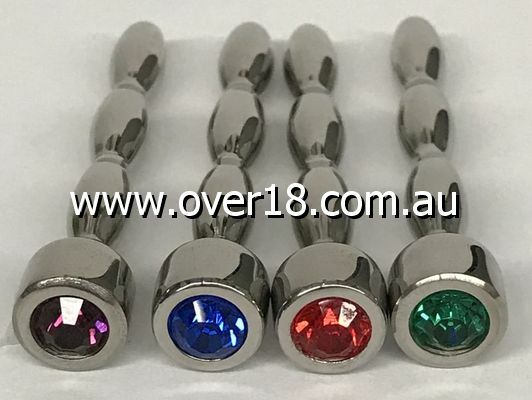 HC Nilehas a mirror finish polish a nice and safe smooth steel rounded insertion tipapproximate measurementsOverall length 69mmInsertable length 55mmPlug width slimmest point 6mmPlug width widest point 8mm Amethyst Red Saphire Emerald This product is certified 100 Non-Magnate and medical-grade steel. Beware of cheaper products that are not solid surgical steel but chromed steel or poor quality surgical steel that contains Magnate. Magnate is the ingredient that makes steel rust. We will only include this endorsement on our 100 surgical steel products.